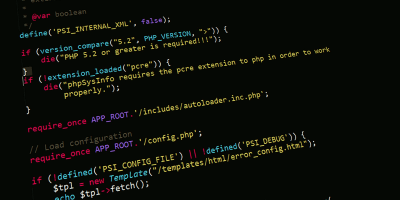 There is a popular myth that Linux is complicated and hard to use by a non-techie. 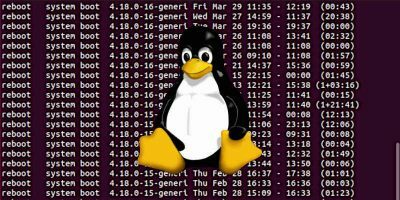 While there are distros and advanced Linux functionality that do require tech skills, this doesn’t mean Linux is hard to use. On the contrary, there are lots of things in the philosophy and functionality of Linux that make a user’s life easier. 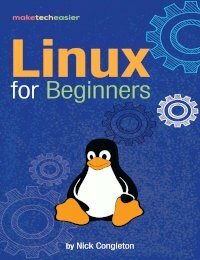 Linux is a household name for sure, but still you can bet there are millions of users outside the tech community who don’t know about it. In a nutshell Linux (or more accurately, GNU/Linux) is an operating system, like Windows or Mac OS. Unlike them, Linux isn’t produced by a particular company but by a huge community of developers. 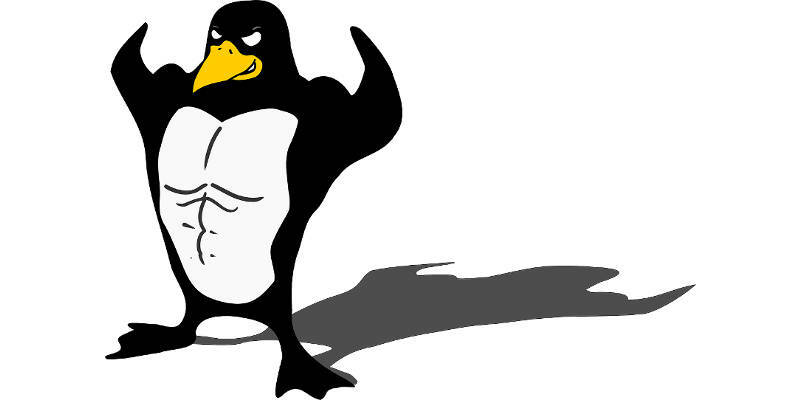 Linux is open source and is free – that’s right, you don’t need to purchase a license to install and use it. What is more, most of the Linux software is free, too. One of the most distinguishing features of Linux is that it offers a huge choice of distros. A distro, or a distribution, is a version of the software with particular features in it. 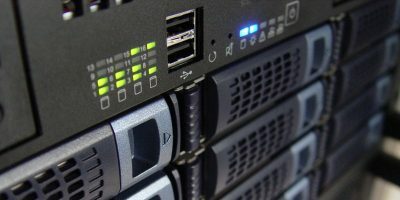 For instance, there are distros for beginners, like Ubuntu or Linux Mint, or distros that are optimized to run on old computers, like Puppy Linux, or distros for gamers, or multimedia distros, security focused distros, etc. – the list is endless. This huge choice of available distros makes it easy to choose the one(s) that are most suitable for you. Another remarkable aspect of Linux is that many distros can be run from a USB. This means you don’t need to install it on your hard drive – just get a bootable USB stick with the distro of your choice, plug it in a USB port and run it. Can it get easier than that? Additionally, installing Linux software is pretty simple. Most of the software the typical user needs can be found in centralized software repositories. You just find it in the list and install it in a second. 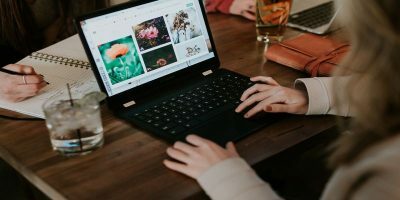 You can install dozens of apps at a time, and this rarely involves restarting your computer. Linux is also known for its security and privacy protection. This applies to the average distro, too, not only to the security-focused ones. Of course, you can’t say malware is unheard of under Linux, but the amount of viruses and other threats is much lower than with other operating systems. You can get an anti-malware program, if you insist, but for Linux, unlike Windows, this isn’t a must. In addition to the zero cost of the software license, another benefit of Linux is that it runs decently on low-end and/or old hardware, too. Sure, with a more powerful computer, things will be faster, but even a ten-year old machine can be used to run some Linux. 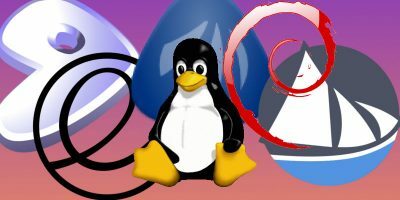 Not every distro will run on a ten-year-old machine, but almost any of the distros made specifically for old computers, such as antiX, will perform just fine. One more way in which Linux makes your life easier is with its huge customization options. 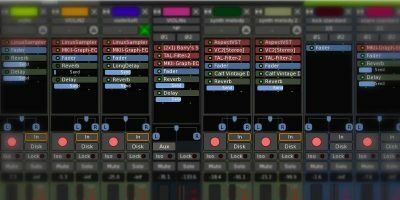 Don’t like a particular feature, functionality, look and feel, etc.? Chances are you can change it. You can’t change absolutely everything, but still customization options in Linux are thousands of times more than in any other operating system. 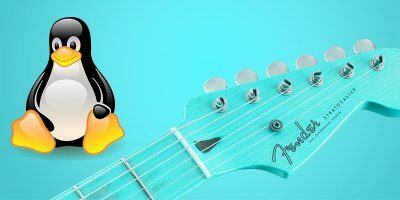 You can probably think of many more ways in which Linux makes your life easier, but even these few points show its advantages. 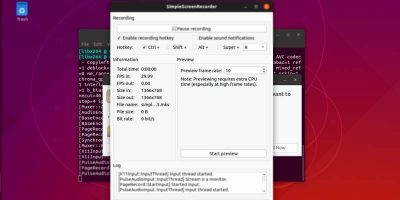 If you have never tried Linux because you think it’s too complicated for you, this may not be the case, and you might want to consider trying it. In the beginning the journey might be kind of rough, but after a while you’ll see you are on the right track. A myth originated and propagated by the anti-Linux crowd. If one only uses the applications running on an O/S, all O/Ss are easy to use. It is when one looks under the hood and starts messing with the innards that all O/Ss become difficult. It never ceases to amaze me that the same people, who on a daily basis make choices between similar products like cars, insurance policies, doctors or groceries, claim that choosing among the many Linux distros is too confusing. Depends on the definition of “old hardware”. Fewer and fewer distros offer 32-bit versions. But, in general, Linux is capable of running older hardware than Windows is. I run my law office on Linux (Debian stretch). Staff and I use nothing else. Works just fine. Like any OS, its nice to have an IT guy/girl. Not because of Linux, but just to keep everything running smoothly. Best thing about it is that its Gates-free, at least for now. Is that Gates-free as in the guy who has dedicated his wealth to charities? How does Mr. Bill’s dedicating his wealth to charities make up for the shortcomings of the Windows O/S? Maybe Mr. Bill is trying to literally pay for his sins. Do you know how Andrew Carnegie and John D. Rockefeller made the money that was used to set up their philanthropic foundations? The fact that they became philanthropists does not excuse the methods they used to make their money. To bring home computing down to an affordable level (unlike the gougers at Apple) is quite a feat. The OS may have been wobbly when it first started out but Windows 10 Pro (for me) it’s very rock solid. Considering all that’s involved I’m shocked it can work at all. If you can write a better OS then go for it. Of course Win10 is “rock solid”. As long as you didn’t read the EULA. I wanted to leave a comment, but Dragonmouth said it all! @dragonmouth: “It never ceases to amaze me that the same people, who on a daily basis make choices between similar products like cars, insurance policies, doctors or groceries, claim that choosing among the many Linux distros is too confusing.” If you are new to Linux, it can be confusing because you don’t know what you need and what to look for. As for customization, the fact one can make huge customizations doesn’t mean he or she has to, but it’s great to have the choice. This “Linux Newbie” thing is something of a straw man. The apocryphal “average user” uses Windows and either has never heard of Linux or believes Microsoft’s FUD propaganda against Linux. Therefore, (s)he will never be confused by the number of distros because (s)he will never leave the warm, comforting womb of mother MS. The decision to switch from Windows to Linux is a conscious one that requires some computer experience. One does not get up one morning and, while putting on a new pair of socks, decide “Oh, as long as I’m changing things, why don’t I switch to Linux”. The switch requires an informed decision based on the knowledge of the advantages and disadvantages of each O/S. Newbies are not equipped to make such a decision. Linux requires a manual installation of the O/S. Computer newbies are loath to install an O/S, even Windows. They are afraid of making a mistake and bricking their system. It takes some computer experience to have the confidence to (re)install an O/S. Once one get to the point of installation, one has done research, reviewed what distros are available and narrowed down the choice to a few or even one. To even know that there are companies like System 76 that sell computers with Linux pre-loaded, requires knowledge of the Linux universe, something a newbie would not have. 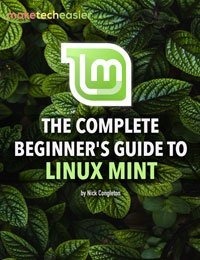 Even in the unlikely event that a newbie buys a computer with Linux pre-loaded, there will be no confusion since manufacturers install only one of two or three distributions. So the confused Linux newbie is a bit of a red herring. You’re lucky. In New Zealand I don’t believe there is even 1 company that sells computers with Linux preloaded. Sure there will be some small mom & pop type businesses which will do it for you but no decent size business. Having said that I’ve tried Mint, didn’t like it, tried Ubuntu… hated the look, and then found one that was developed by a Kiwi (New Zealander to those that don’t know) called Linux Lite… it’s pretty good IMHO. @dragonmouth It is kind of offtopic but just curious which distro(s) you recommend a newbie to try? Assume we are talking about a newbie to Linux with some comp knowledge. It depends on what kind of user the newbie is. For those that are only interested in running apps (games, office suite, email. graphics, etc.) 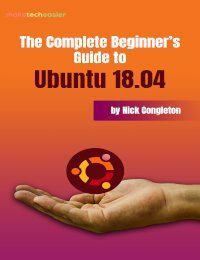 I would recommend any Ubuntu-based distro or PCLinuxOS. 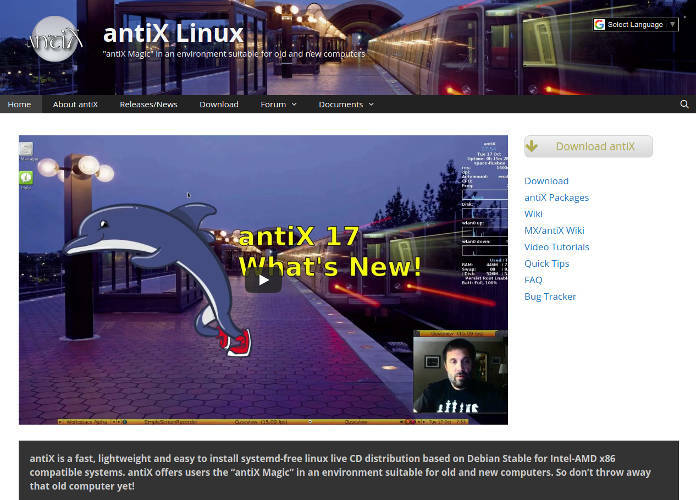 For those that like to explore under the hood, I would recommend PCLinuxOS, antiX, MX Linux.